Can I Use Regular Cornmeal for Making Polenta? Polenta, here as firm squares, can taste bitter when cooked if it's stored too long. 2 Can I Use Regular Cornmeal for Making Polenta? 4 What Is Polenta Mix? The Italian equivalent of cornmeal, polenta has transformed over the years from a peasant staple into comfort food. You can cook this versatile flour into a soft creamy porridge, fry, bake or grill it into firm wedges and use as a substitute for bread or as an accompaniment with stews, meat and fish. 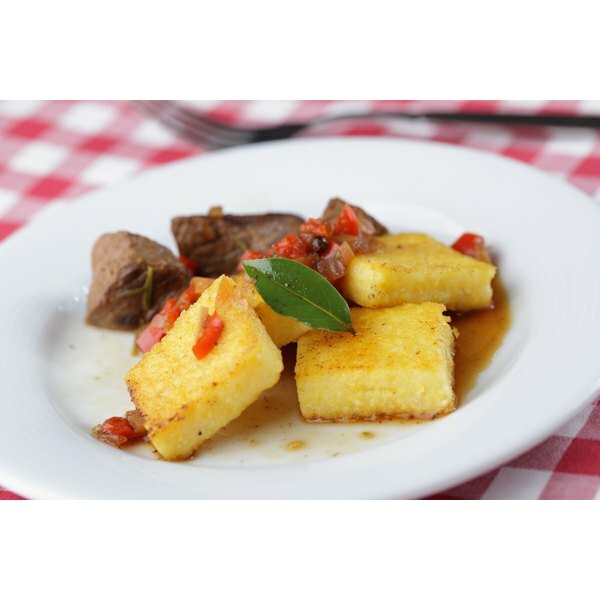 Polenta is available in different textures including fine and stoneground powders, as well as an instant pre-cooked variety. No matter what type you choose to use, you must properly store polenta to prevent it from spoiling and losing its flavor. Refrigerate stoneground polenta in a resealable airtight container for approximately two months. 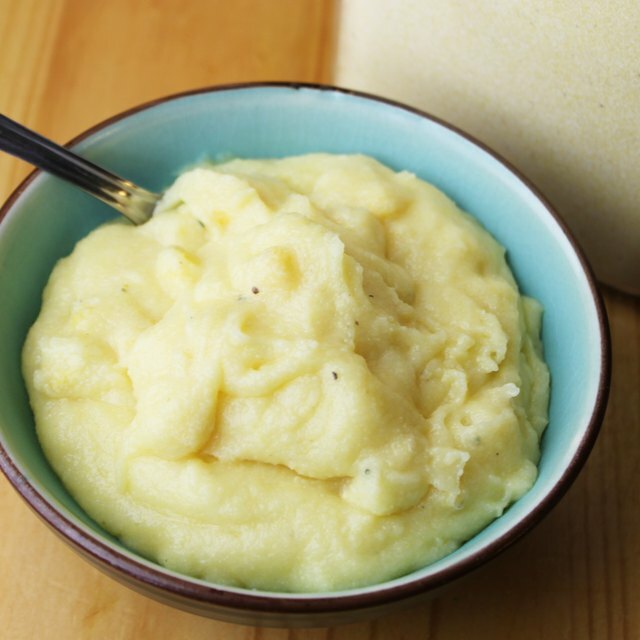 Stoneground polenta contains oil from the germ of the corn and will spoil if left unrefrigerated. Place unopened and uncooked leftover fine-ground polenta in a cool, dry area away from moisture for up to two years. If you have leftover fine-ground polenta, pour it in a resealable airtight container before storing it. Fine-ground polenta keeps for a longer period as it is de-germinated and does not contain the oil from the germ. Keep unopened instant polenta in a cool, dry area for approximately two months. Store leftover instant polenta in a resealable airtight container in the fridge for around two days.